Գենտ քաղաքն ունի 7 քույր-քաղաքներ. ↑ Statistics Belgium; Werkelijke bevolking per gemeente op 1 januari 2008 (excel-file) Population of all municipalities in Belgium, as of 1 January 2008. Retrieved on 2008-10-19. ↑ Statistics Belgium; De Belgische Stadsgewesten 2001 (pdf-file) Definitions of metropolitan areas in Belgium. The metropolitan area of Ghent is divided into three levels. 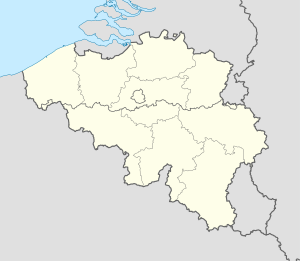 First, the central agglomeration (agglomeratie) with 278,457 inhabitants (1 January 2008). Adding the closest surroundings (banlieue) gives a total of 423,320. And, including the outer commuter zone (forensenwoonzone) the population is 594,582. Retrieved on 2008-10-19. ↑ «Weatherbase.com»։ Weatherbase։ 2013 Retrieved on October 26, 2013.